After weeks of meticulous planning, year 6 pulled off an amazing bake sale on Wednesday, in aid of the two school charities, Stand by Me and Breaking Barriers. The cakes and cookies were mouth watering and filled two long tables outside the reception. 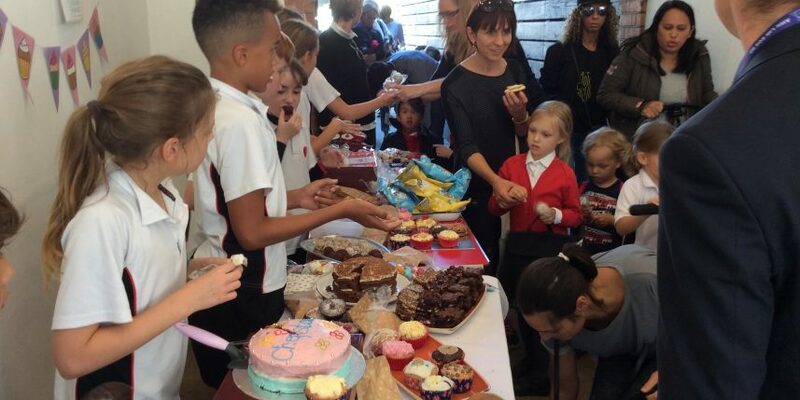 The detailed marketing ploy, which included announcements at assembly and snack, and beautifully decorated posters, obviously worked as over 300 cakes were sold, making over £400! Thank you year 6, everyone’s looking forward to the next one!